MegaChem (UK) hold stock to Zùsto Sugar Substitute, ‘the world’s first sugar without sugar’, this revolutionary sugar replacement has all the key qualities of sugar without the calories and impact on health. These unique properties make Zùsto an ideal sugar substitute for diabetics, people who are obese and food and beverage manufacturers looking to improve the nutritional value of their product without impacting on taste and quality. Additionally, the composition of Zùsto means it’s naturally suitable for vegetarian and vegan diets; Kosher and Halal friendly products are also available by request. 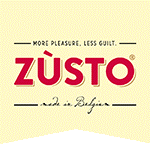 In addition to commercial and industrial food processing operations, Zùsto can be used in professional kitchens and in the home; with many chefs and kitchens adopting the product as their chosen sugar substitute. With a low glycemic index, Zusto has become a favourite for making sugar free diabetic recipes. If you require something more bespoke to suit your operation, call MegaChem (UK) today on +44 (0) 1291 422747. At MegaChem (UK), we stock the full range of Zùsto products for both personal and commercial use. If you’d like to find out more, request samples or place an order – give one of our expert team a call today on +44 (0) 1291 422747 or fill out a contact form and we’ll get back to you.